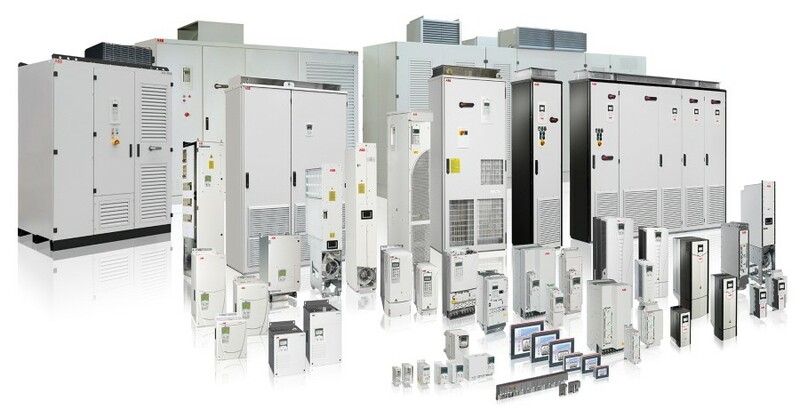 The ABB name is synonymous with high quality, long life inverters. Being innovative, forward thinking manufacturers, ABB are at the forefront of inverter technology. Micro drives suitable for machinery builders and panel builders. 1ph in 3ph out 240V rated IP20. Ranging from 0.18-2.2kW. Machinery drives for the machine builders sector, food and beverage industry. Standard 1ph ranging from 0.37 – 2.2kW rated IP20. ACS150 3ph ranging from 0.37-4kW rated IP20 with built in potentiometer and fixed keypad. 1ph ranging from 0.37-2.2kW rated IP20. 3ph ranging from 0.37-22kW rated IP20. 3ph ranging from 0.37-7.5kW rated IP66. Standard drives for fans and pumps. 1ph ranging from 0.37-2.2kW rated IP20. General purpose drives. 3ph ranging from 0.75-250kW rated IP21. 3ph ranging from 0.75-250kW rated IP55. Click here for the ABB ACS580 documents. HVAC drives. 3ph ranging from 0.75-250kW rated IP21. Click here for the ABB ACH580 documents. Water and wastewater drives. 3ph ranging from 0.75-250kW rated IP21. Click here for the ABB ACQ580 documents. Industrial drives. 3ph ranging from 0.75-250kW rated IP21. 3ph ranging from 250-500kW rated IP20. Click here for the ABB ACS880 documents. Ultra low harmonic drives. 3ph ranging from 15-90kW rated IP21. Control panels, Bluetooth option, Panel covers, Nema kit, Panel mount kits, Relay extension modules, Potentiometers, Flash drop, Fieldbus interface, programming tools: Drive Windows Light PC tool, Drive composer pc tool, Cold configuration adapter, EMC filters and Safety modules. The ABB SynRm motor can be paired with the following ABB drives: ACH580, ACS580, ACQ580 or ACS880. *All effort is made to keep this web page up to date, if you have an enquiry for an ABB inverter that is not listed here, it may be that the drive is a Classic or Obsolete inverter, or one not fully launched in the UK. Whichever is the case, please contact our engineers on 0115 944 1036 or email sales@inverterdrivesystems.com so we can offer a suitable solution.